This collection highlights the history and development of CLAGS, a CUNY organization that played a leading role in the establishment and legitimization of queer studies in a time when the categories of queer and academia were widely believed to be mutually exclusive. Historian Martin Duberman, CLAGS’s founder and first executive director, was among the first academics to, not only come out as gay, but also insist that the study of sexuality is a valid, and indeed necessary, academic pursuit. In 1973, Duberman founded the Gay Academic Union and experienced first-hand the pushback of mainstream academics who vehemently dismissed what was then referred to as “gay studies.” Duberman remained determined, however, and in 1986 assembled a number of his friends and colleagues to discuss the possibility of an academic center devoted explicitly to the pursuit and wide-scale dissemination of lesbian and gay scholarship. After a series of similar meetings, the Center for Lesbian and Gay Studies was formed. While CLAGS, as it was more commonly called, was initially meant to be located at Yale, the center ultimately found its home at the CUNY Graduate Center in 1991 and has remained there ever since. As the first university-based research center in the United States explicitly devoted to the study of lesbian, gay, bisexual, transgender, and otherwise queer issues, CLAGS shaped a field that was then in its infancy. As part of CLAGS’s mission to foster and spread queer knowledge, the center is devoted to three main areas of pursuit: academic events, educational seminars, and fellowships. Every year CLAGS puts on a number of events, including smaller panel discussions and larger conferences, that bring together academics and activists to present and discuss developments in the field. CLAGS’s most notable event is the annual Kessler Lecture, which is given by a leading scholar who receives the Kessler Award for making a significant contribution to the field of queer studies. CLAGS's commitment to furthering queer research has also led to CLAGS awarding a number of fellowships and grants to scholars in support of their research. Additionally, they host “Seminars in the City” – educational programming that is open to the public. 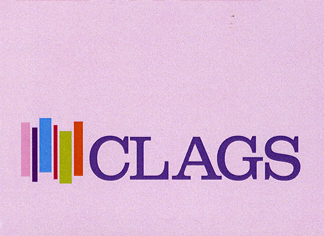 Since 1991, CLAGS has remained at the forefront of the ever-expanding field of queer studies. Some of CLAGS's first events, such as the 1992 panel, “The Nation and the Closet,” embraced an intersectional approach in order to further understand the ways in which LGBTQ functions in relation to other human rights movements. In later years CLAGS evolved to include programming related to transgender issues in academia. CLAGS has also led the way in questioning what queer activism looks like in the years following legal approval of marriage equality. Perhaps the most obvious reflection of shifting values in the field and within CLAGS is the change of the center’s name in 2014 from the Center for Lesbian and Gay Studies to the Center for LGBTQ Studies. This change highlights the inclusion of queer identity beyond “lesbian and gay” and a commitment to the advancement of queer studies. This collection was created by Christopher Morabito from primary materials housed in the CLAGS archive. The CLAGS collection’s scope and content range from memorabilia and videos from CLAGS events, to internal documents and correspondences. Many videos, including the ones featured in this collection, can be found on the CLAGS YouTube channel. For more information about CLAGS, you can also read Martin Duberman’s memoir Waiting to Land, or read the articles written by past CLAGS executive directors in the Women’s Studies Quarterly Vol. 44 No. 3 and 4: Queer Methods. Go to all 34 Items in collection.